Environmental Services staff members Bryant Hall and Linda Studivant accept plaques recognizing their 35 years of service to New Community during the 2019 Employee Recognition Ceremony from NCC CEO Richard Rohrman, center. 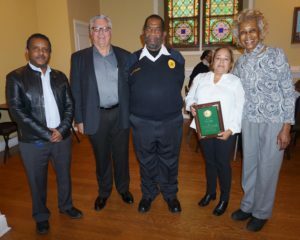 Samson Gebreyesus of Management, NCC CEO Richard Rohrman, William Folsom of Security, Fany Lopez of Extended Care and NCC Board Member and Outreach Coordinator Madge Wilson, left to right. 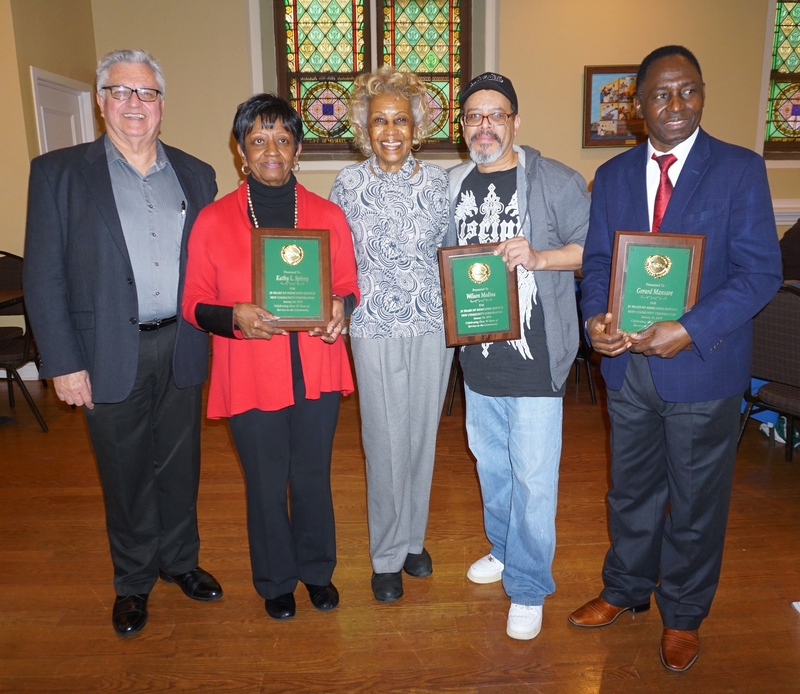 Gebreyesus, Folsom and Lopez received plaques commemorating 30 years of employment at New Community. 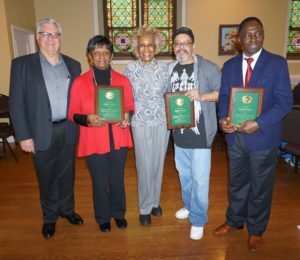 NCC CEO Richard Rohrman, left, and Board Member and Outreach Coordinator Madge Wilson, center, stand with Chief of Staff Kathy Spivey, Environmental Services employee Wilson Medina and Security staff member Gerard Mansare, holding plaques left to right. The trio received recognition for 25 years of service. 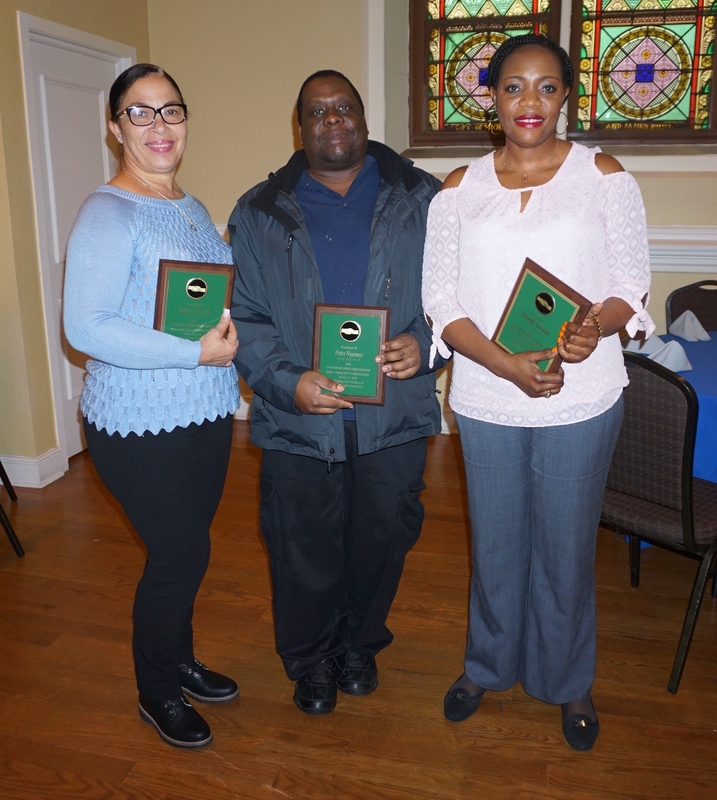 Director of Community Engagement Richard Cammarieri, Resident Services Coordinator Lourdes Fuentes, Extended Care employee Gwendolyn Robinson and Extended Care employee Delores Thomas, left to right, show the plaques they received for 20 years of service to NCC. Extended Care employees Kala Boxcell, Peter Nyamo and Yetunde Amokun, left to right, display their plaques for 15 years of service to New Community. Employees who have worked at New Community for 10 years. 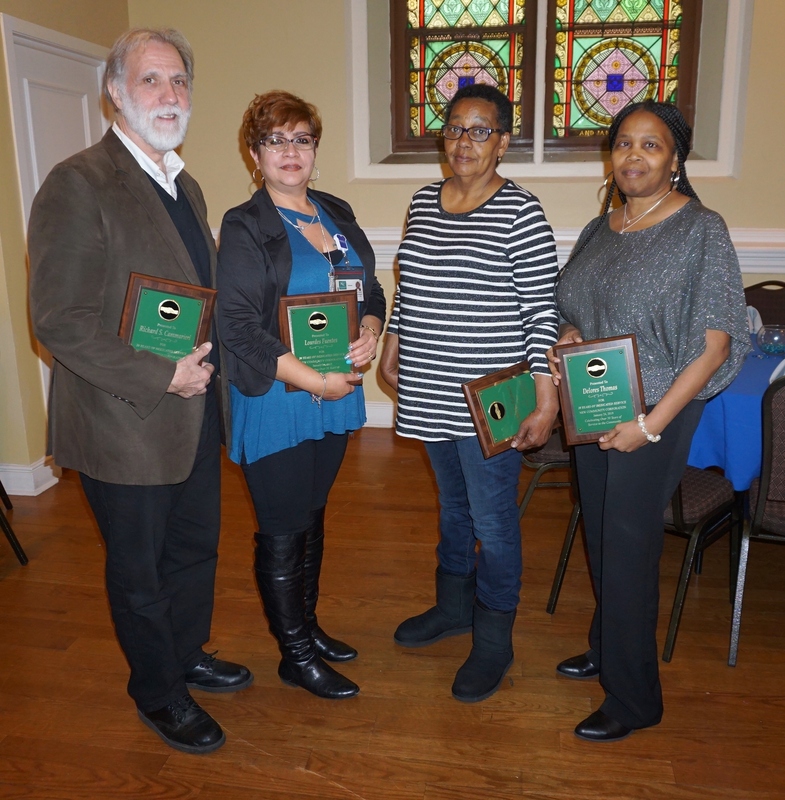 NCC employees show off their plaques recognizing five years of service. New Community Corporation held its 2019 Employee Recognition Ceremony Jan. 24 at St. Joseph Plaza where 59 employees were recognized for their years of service to the organization. Plaques were handed out to employees for reaching milestones of five, 10, 15, 20, 25, 30 and 35 years with New Community. Director of Human Resources Ben Galvez said the employees recognized have over 730 years of service to New Community collectively. 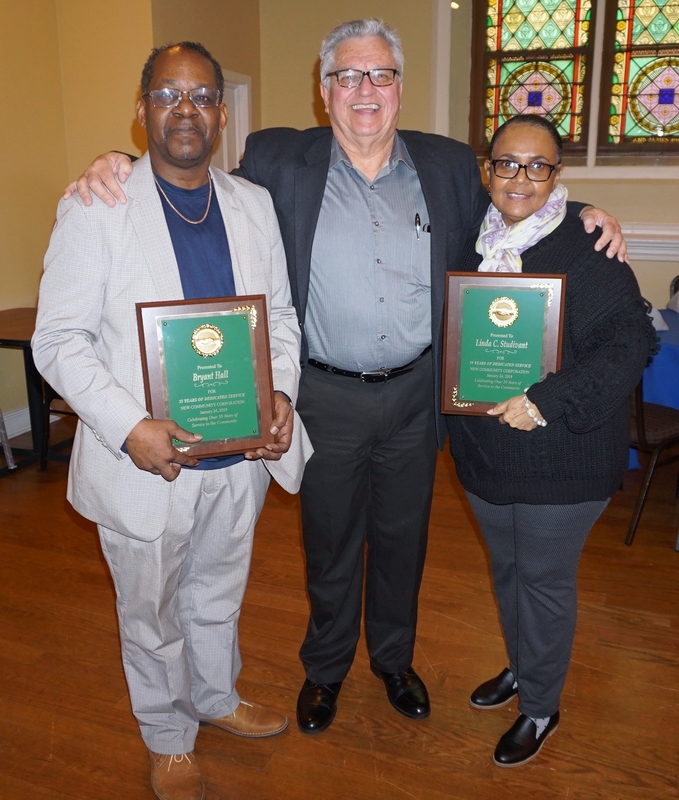 Two employees from Environmental Services, Bryant Hall and Linda Studivant, were recognized for having the longest tenure of 35 years. Rohrman said Hall can be seen throughout the NCC network. NCC Chief of Staff Kathy Spivey received a plaque for 25 years of service. 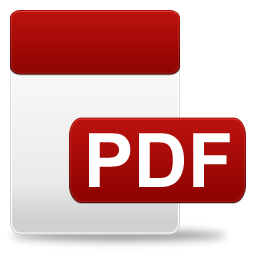 Rohrman called her the rock of New Community. Director of Mission Frances Teabout shared a poem about how people come into your life for a reason, a season or a lifetime. She related it to New Community saying employees come to NCC for a reason (they need a job and the organization needs a role filled), some stay for a season (a while but then they decide to move on) and others stay for a lifetime. Employees recognized at the ceremony each received a plaque commemorating their years of service and were treated to lunch in their honor. 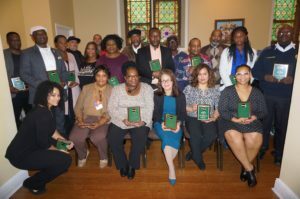 Five Years: Alicia Adams (SAIF), Akinade Adeyemi (Security), Leslie Andujar (Human Resources), Bridget Bouie (Security), Ramon Cabrera (Environmental Services), Alphonzo Clanton (Environmental Services), Dwayne Clyburn (Environmental Services), Frances Davis (HHELC), Mark Hall (Security), Jacqueline Henry (Extended Care), Evelyn John (CHELC), Sam Joseph (Environmental Services), Ronald Manning (Environmental Services), Gertrude McLean (CHELC), Rhonda Nobles (Extended Care), Helen Okafor (Extended Care), Elsie Palacios (CHELC), Ronald Prysock (Workforce Development), Joseph Takouezim (Management), Dametria Wertz (FSB), Wade Wilcher (Security) and John Zaccheus (YATC). 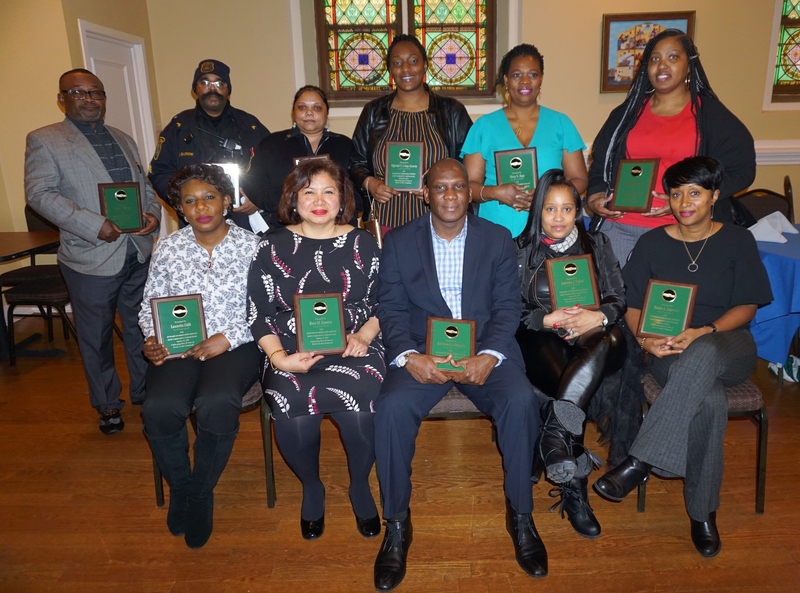 Ten Years: Solomon O. Airiofolo (Extended Care), Jerome S. Barrow (Security), Tangula Brown (HHELC), Nijeriah T. Coley-Severin (Extended Care), Rose Estaing (Extended Care), Cephus Harris (Environmental Services), Tamara Harris (Extended Care), Mary Ikpa (Extended Care), Ruth J. Kimutai (Extended Care), Ronda Lawrence (Environmental Services), John S. Mensah (Security), Rahel A. Nyambi (Extended Care), Lawretta Odih (Extended Care), Ngozi Onuoha (Extended Care), Rosa Ramirez (Adult Learning), Sattie Samkaran (Security) and Lateisha Telfair (CHELC). Fifteen Years: Yetunde Amokun (Extended Care), Cristhian F. Barcelos (Adult Learning), Roxana Benjamin (Extended Care), Kala Boxcell (Extended Care), Peter Nyamo (Extended Care) and Prentiss Thompson (Security). Twenty Years: Richard S. Cammarieri (Administration), Lourdes Fuentes (Resident Services), Elizabeth Mbakaya (Finance), Gwendolyn Robinson (Extended Care) and Delores Thomas (Extended Care). 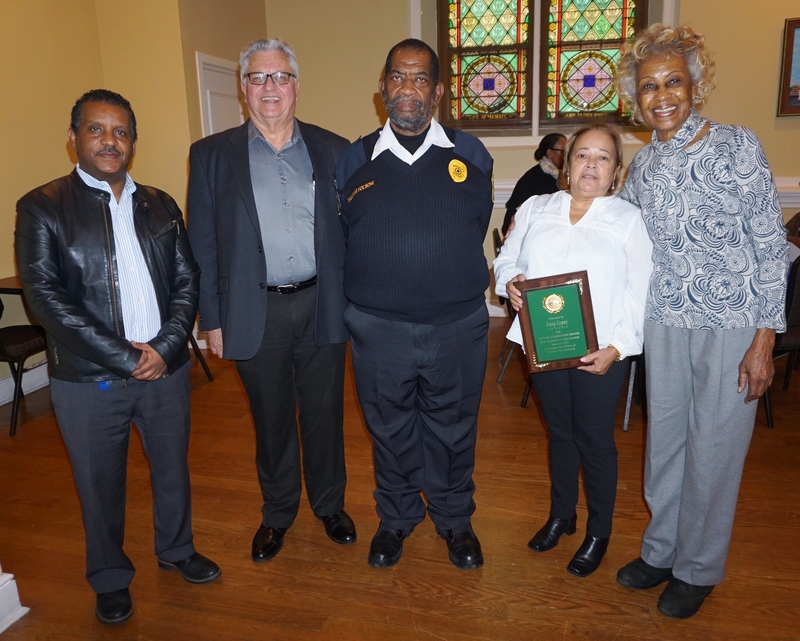 Twenty-Five Years: Fitzroy Barnett (Harmony House), Gerard Mansare (Security), Wilson Medina (Environmental Services) and Kathy L. Spivey (Administration). Thirty Years: William Folsom (Security), Samson Gebreyesus (Management) and Fany Lopez (Extended Care). Thirty-Five Years: Bryant Hall (Environmental Services) and Linda C. Studivant (Environmental Services).